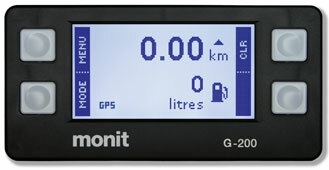 The top of the range G-200 model has all the features required for the highest level of competition. The main advantages over the G-100 are the addition of a time-of-day clock, average speed, fuel management system and handy stage recorder. For competitors that demand the most from their equipment, the G-200 is the ideal choice.